Lone Wolf Knives creates some great knives. The Paul Knives have been a hit since they reintroduced them years ago. These Executive models are really great and the handles are striking. The Snakewood is just really classy. The inlaid model is worked by Santa Fe Stoneworks and is really handsome. 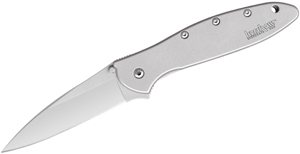 The Paul Executive gentlemen’s knife from designer Paul W. Poehlmann is compact and great looking. It’s classic drop-point blade is 2.5 inches long providing plenty of cutting surface to handle any cutting chore. The patented Paul “Axial” locking mechanism locks the blade in both the open and closed positions for safety and allows easy one-handed opening and closing. The sleek handle shape provides a secure and comfortable grip. The Paul Executive is constructed entirely of stainless steel for easy maintenance and reliable service. 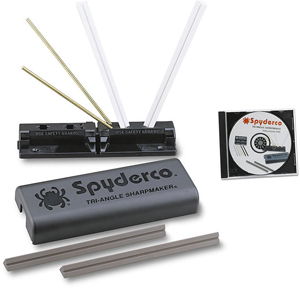 It’s precise fit and finish assures that it operates smoothly, safely and looks great! Snake Wood or stone onlays on the handle create a beautiful appearance to please any knife enthusiast. The Paul Executive knife has a limited lifetime warranty. It is packaged in an attractive metal display box inside a nice Lone Wolf gift box. 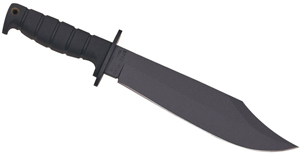 * Blade Length: 2.5 in. * Overall Length: 5.8 in.